Tonight's campaign fundraiser for Pennsylvania's 13th Congressional District hopeful Marjorie Margolies is just like any campaign fundraiser featuring an appearance by Hillary Clinton. Except the candidate, who happens to be Chelsea Clinton's mother-in-law, won't be there. 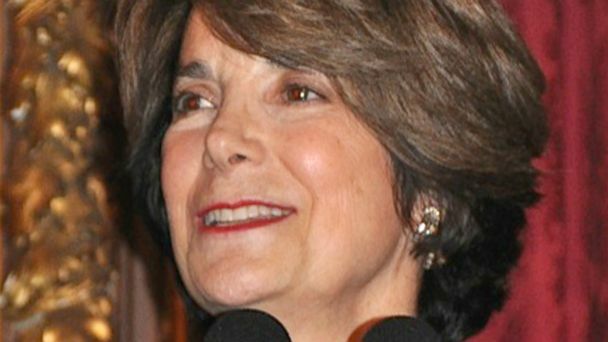 Margolies' absence from her own fundraiser might surprise those who had hoped to catch a glimpse of the once and hopes-to-be-future congresswoman. The thousand-dollar-a-head event's invitation requested "the pleasure of your company at an event for Marjorie Margolies with Special Guest Hillary Rodham Clinton," but never mentioned that Margolies would not be in attendance. Campaign aide Dylan McGarry confirmed to ABC News that Margolies will not be at the event, instead attending the annual spring dinner for Montgomery County Democratic Party. "She felt it important that she be in the district, and the event with Hillary is going to go on whether she's there or not," McGarry said. This comes as Democrat Margolies, a Pennsylvania congresswoman from 1993 to 1995, struggles to connect to voters before a competitive four-way primary on Tuesday. While Margolies' internal polling placed her firmly in first place in August, opponent Brendan Boyle is gaining momentum. The event marks Hillary Clinton's first campaign appearance of 2014. Clinton, who has largely shied away from political events in the past year, is making an exception for her in-law, who has also received an endorsement from Bill Clinton. As Clinton gears up for a possible 2016 presidential run, Republicans call the fundraiser for Margolies, 71, "business as usual." "For the Clintons there's no favor that ever goes unrewarded, as tonight Hillary Clinton will once again pay back Marjorie Margolies for casting the deciding vote for a [Bill] Clinton [administration] budget that ushered in one of the largest tax increases in American history," RNC Spokesman Jahan Wilcox said. "The Clintons have always operated under the terms of you scratch my back and I'll scratch yours."